Termites, also known as white ants, are small soft bodied insects – about half the size of a match-head. It is estimated that they cause more damage to homes in Australia than from fire, floods and storms combined. The damage is so great that termite damage is not covered by insurance – meaning that it’s a problem that you need to keep on top of with Termite Pest Control. Rather than fast and furious, termites work slowly and silently as they eat away your home or other property. Whether old or new, damage is done without you realizing it. 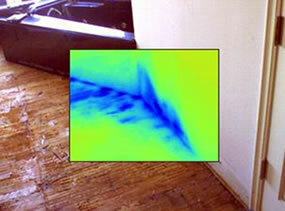 Recent industry surveys suggest that almost all unprotected properties in Australia are subject to attack by termites. Severe structural timber damage by white ants to Australian homes is on the increase due to more homes being built of materials and designs that encourage hidden termite entry and infestation. Termites can cause long-lasting structural damage to your house that can be incredibly expensive to fix – so it’s important to make sure you get rid of the problem before it gets out of control. At Budget Pest Control, we use the latest in pest control technologies including Thermal Imaging and Termatrac Termite Detection. 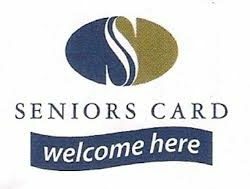 All products we use are selected on stringent criteria for safety and efficiency to ensure the environment and your home are well cared for. Also please see our Termite Prevention Tips. A Perimeter Chemical Termite barrier includes drilling in accordance with Australian standards the external perimeter of the home. After drilling we inject the chemical at 10-litres per lineal-meter which is well above the industry norm. This is to compensate for the difficult soil conditions encountered here in Western Australia and ensure the full life expectancy of the chemical. 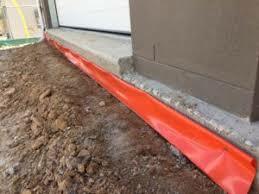 This forms a chemical barrier that protects the home from Subterranean Termites. IMIDACLOPRID Non-Repellent – Undetectable by termites – Works as a “treated zone” rather than as a repellent style barrier. Termites cannot detect this chemical and therefore the termites will travel into the “treated zone” where they become diseased and die shortly after contact with the chemical. Treatment life – 5 years. This chemical has the same mode of action as Termidor where termites will pick up micro fine particles of the chemical and unknowingly transfer it to termites that have not entered the treated zone by social interaction and cannibalism allowing the chemical and effects eventually tracing back to the colony. Complete Termite Colony Eradication. Treatment life – 5 years. This chemical a similar mode of action to that of Imidacloprid in that the termites are unable to detect the chemical, and will travel into the “treated zone”, but there is a delayed reaction before they die which gives the opportunity for the chemical to be passed onto other members of the colony that may not have travelled into the “treated zone”. Complete Termite Colony Eradication Treatment life – 8 years. Renovating, building a new home or extending an existing home? 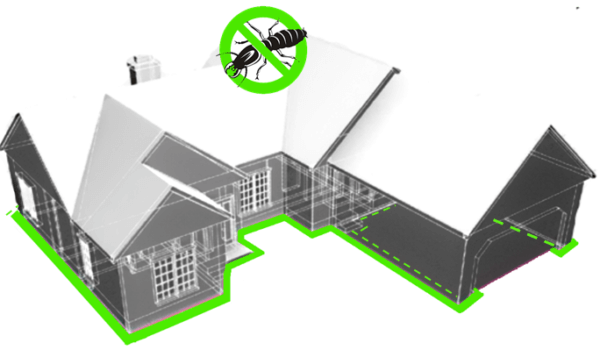 The regulations for termite management have changed and you will require a physical barrier. A physical termite barrier is pretty much what the name suggests. 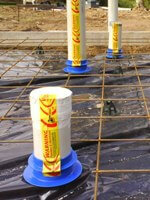 It must be installed prior to any concrete slab poured and is designed to prevent concealed termite entry to a building. The termites must build mud tunnels to access the building which can easily be identified or spotted. Pre-Construction Termite Treatment in accordance with Australian Standard AS 3660.1 – 2000 Termite Management New Building Work and AS 3660.2 – 2000 Termite Management in and Around Existing Buildings. 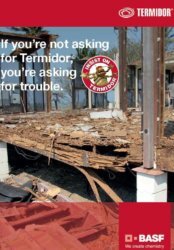 Call us today for more information or a quote on Termite Barrier Treatments, Pre-construction Treatments or Termite Management options. 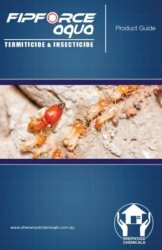 • Industry surveys suggest about one third of unprotected properties in Western Australia are subject to attack by subterranean termites. • White Ants cause more damage to homes in Australia than fire, floods, storms and tempest, combined. 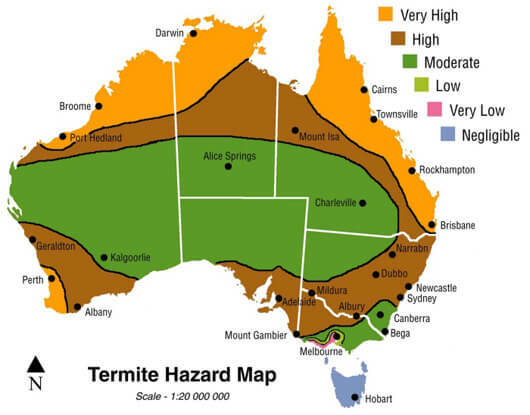 • Termites occur throughout Western Australia, with a high incidence of attack in virtually all urban areas. • The standard Home and Building Insurance Policy will NOT cover the repair costs of termite infested structural and decorative timbers. • The worker termites build mud-tubes over hard objects. • A termite colony nest may contain more than a million termites, consisting of a queen, king, young immature nymphs, workers, soldiers and winged reproductives (called alates). • The worker termites are blind and forage in a largely random criss-cross fashion looking for new timber food sources. 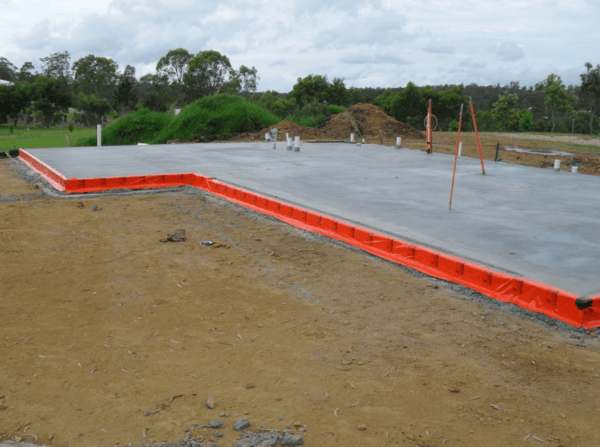 However, they may encounter and follow moisture zones and trail along solid objects, such as, the concrete slab edge of your home.